WE GUARANTEE YOU'LL LOVE THIS SMART TV BOX OR YOUR MONEY BACK!!! - NEVER HAVE TO PAY FOR CABLE AGAIN !!! - NEVER HAVE TO PAY FOR NETFLIX AGAIN !!! - NEVER HAVE TO RENT REDBOX MOVIES AGAIN !!! - NEVER HAVE TO PAY FOR PAY PER VIEW AGAIN !!! - NEVER HAVE TO GO TO THE MOVIE THEATER AGAIN !!! INTRODUCING DIGIXSTREAM ANDROID 4.2.2, THE #1 AND MOST ADVANCED SMART TV BOX ON THE MARKET TODAY WITH TONS OF MOVIES INCLUDING THOSE IN THEATERS AND LIVE TV SHOWS ALL OVER THE WORLD!!! Welcome to the world of any FREE movies, T.V., pay per view fights, music, games and more!!! The DigiXtream box gives you all of this for free in HD so you can eliminate high monthly costs from cable and satellite providers. This box has EVERY season of ALL TV shows ever aired on TV including the latest releases as well as FREE movies in HD which include NEW films just released! DigiXstream is a Smart TV Box that is powered by Android (Jelly Bean), that plugs directly into the HD port of your existing High Definition TV and turns your old tv into a fully functional, wide screen, home computer that you can share with all the family from the comfort of your sofa! 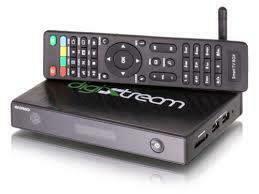 Basically, DigiXstream transforms your old TV into a giant tablet PC! You could have fun playing 1000′s of different games like Angry Birds, Candy Crush or Cut the Rope. Maybe you and the family would like to watch a full 1080p High Definition movie without having to huddle around the laptop. Or perhaps you have some work you need to get done, with DigiXstream you can effortlessly check your emails, work on Word, Excel, PDF's and even PowerPoint documents. All applications can be simply downloaded directly from the Google Play Store. - Free international movies such as Indian, Arabic, Chinese, Vietnamese, and more! - Free movies currently being showed in the movie theaters!